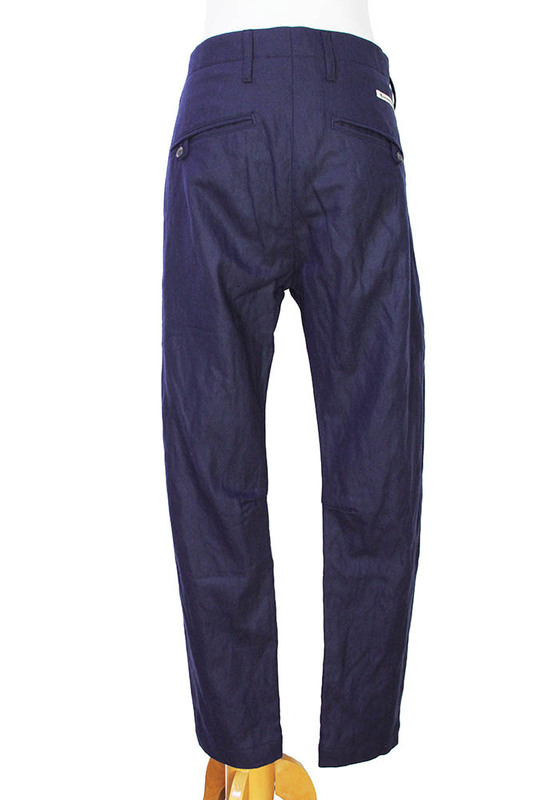 Novemb3r straight legged, single pleat trousers in blue night colour. Long belt loops extending below the waistband. Button fastening and fly with placket. 2 angled pockets. 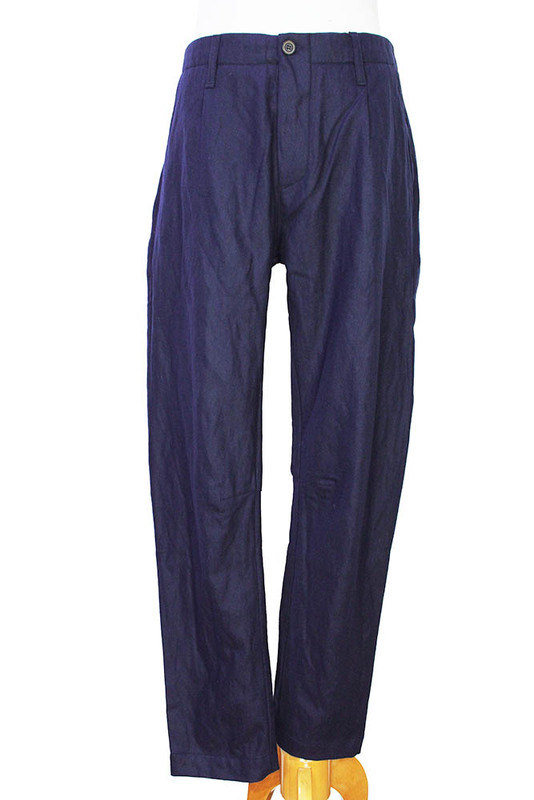 2 angled rear pockets with button and fabric loop fastening. Lovely soft fabric, these trousers match the jacket in the same fabric. M-34/35 inch, L-36/37 inch, XL-38/39 inch.